What place does the dialectic take in the philosophy? To truly understand this question, you need immerse yourself in ancient times. However, sufficient enough to consider the well-known figure P.V. Kopnin who, worked in the 60s of last century, made a significant contribution to the logic of scientific research of USSR and the result – extended philosophical thoughts and ideas of that time. 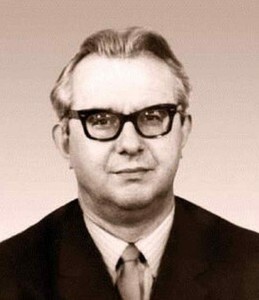 During Pavlo Vasylovytch’s scientific career he has issued a sufficient number of jobs, each in its own way considered dialectical approaches in science and were explained the logic of dialectical cognition. The author of these jobs also examined in detail and explained the specific questions and abstract, logic and history, theoretical and empirical, reason and intuition. Interesting also is the fact that some jobs P.V. Kopnin cover a broad range of questions that are often on the borderline between philosophy, science, technology and human. Last philosopher’s searches of science associated with this rather broad issues, besides special is also the author attempts to give an explanation as much as possible their understanding of the scientific and technical revolution in contemporary scientific thought. After philosophical international congress at which its participants – scientists decided to conduct research in three areas, namely science and technical, social and philosophical, Pavlo Vasylovytch with persistence set to last (philosophical) dimension. During this period he expressed an extraordinary number of unbelievably interesting ideas about major shifts and upheavals that were caused by revolutions in science and technology. He touches the identity issues of universal style of thinking, which as a result and consequently leads to scientific change and upheaval. These incredibly interesting and important ideas for science P.V. Kopnin was not able to experience the realization of his direct participation as a scientist nominated them a few months before his death. This incredibly great interest and thirst for philosophical science emerged in Pavlo Vasylovytch at the beginning of his student days, but they did not leave him for life and death. Although his passion for philosophy classes was sharply interrupted by The Great Patriotic War, he was with the same youthful enthusiasm, will and tenacity continues to work in this interesting direction for him after the war. P.V. Kopnin desire to learn was incredibly strong. Besides his scientific researches were not confine to one area of science. Thus, in his doctoral thesis he examines in detail existing forms of thinking, and what role they are having in the process of learning. And some time after defending his thesis Pavlo Vasylovytch increasingly focuses on the theory of knowledge, concentrating all forces to study this issue, highlighting their views about this in numerous articles, what was published after defending his doctoral dissertation. Considering P.V. Kopnin as a scientist who has made outstanding contributions to the scientific opinion of the USSR, it is necessary to emphasize that he is “not sitting in the place,” and managed to get on his life in many cities of the former USSR. And it is during his stay in the capital of Ukraine – Kiev can confidently name the most fruitful scientific activity in Pavlo Vasylovytch. For ten years he wrote a series of books, published it almost every year, which again reflects the author’s creative and scientific researches on the problems of dialectics, logical foundations of science, knowledge and forms of thinking. Do not forget also that the Pavlo Vasylovytch is very interested and deeply concerned by the impact of scientific and technological revolution on the logical structure of contemporary thinking. Considering the fact that he believed that the revolution in science as part of the scientific and technological revolution is accompanied by changes in the categories of science, he emphasized that while we can not enrich the philosophical categories simply by the inclusion of their number general concepts of modern science. This once again confirms thoroughness and depth of scientific research P.V. Kopnin’s that were the basis of his creative scientific activity. In addition, Pavlo Vasylovytch was a very talented teacher who paid great attention to the education of students and young scientists, conducting them lectures on the aforementioned issues. That is why he earned high prestige among young people in the circles of the scientific community. P.V. Kopnin was a bright creative personality. Weight his unbridled energy, commitment and integrity combined with great kindness, humor, extreme sensitivity and incredibly great experience. He not only skillfully knew his work, but was utterly in love with it. That is what gave him extraordinary power and inspiration in creative search for new scientific discoveries. So what conclusion should be expected from the facts above? Surely, I must say that the doctrine P.V. Kopnin’s has considerable influence on the scientific opinion of the former USSR. However, modernity is often drawn to the works of Pavlo Vasylovytch. His figure can be seen as an example of a tireless creator, scientist, who continued their search, and how good, wise person who reserves a place for reflection and scientific research. Which option to choose – is the personal choice of each. This entry was posted in Ethical and tagged ethical, philosophical on 08/02/2017 by Mary.